New look Be Skinspired stand at ‪#‎incosmetics‬ 2016 for Croda, all the hard work paid off, from design, project management, logistics, installation and finally great client feedback. 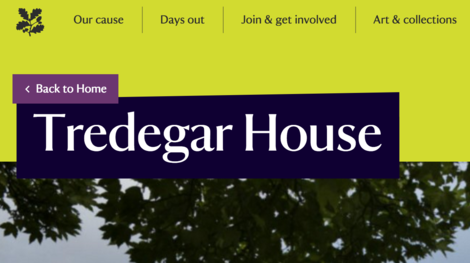 Here are some cool bits from its new responsive website. Lovely stuff. Ghost buttons are becoming more and more common. 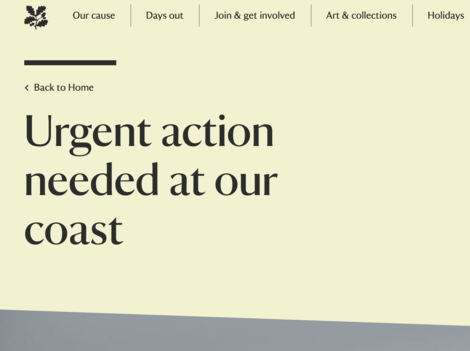 This nice bit of CSS helps every call to action look a little more elegant and means they don’t have to detract as much from content. There’s nothing more to say about this, other than it’s not a euphemism, and you can click through below if you’d like to go. The National Trust is about cultural heritage, but a shorthand for that is beauty. 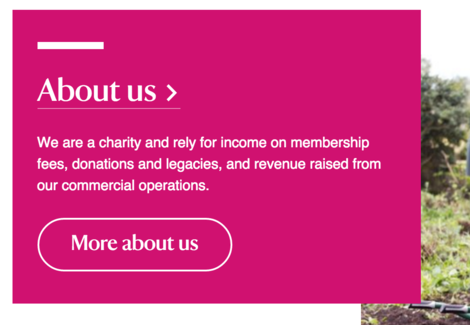 So, it’s very pleasing that the new Trust website has such bold colouring and contrast throughout. It really does improve the experience. Below is a selection of elements that stood out. I can’t capture the page in full, but go and check it out for yourself. 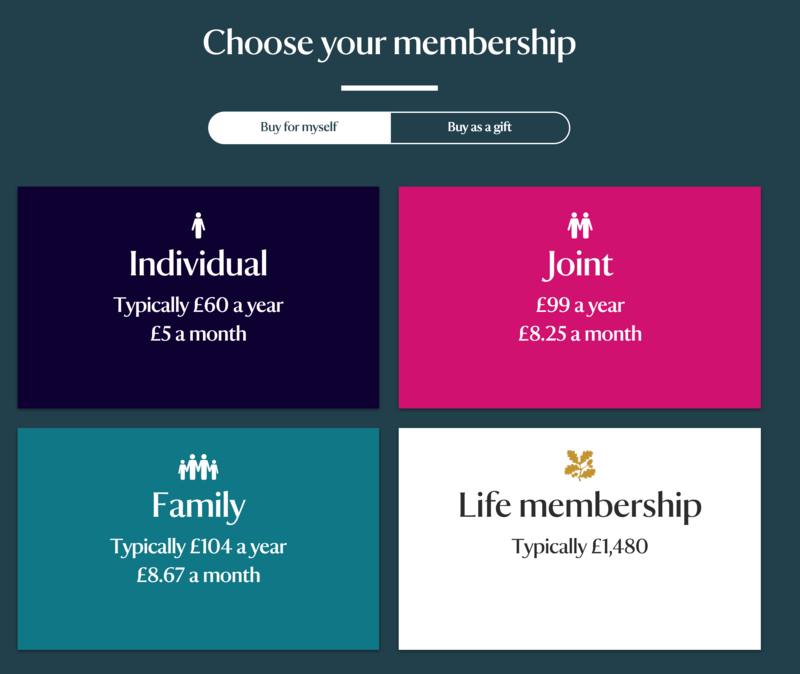 It’s a long, persuasive and content-filled page intent on increasing memberships. 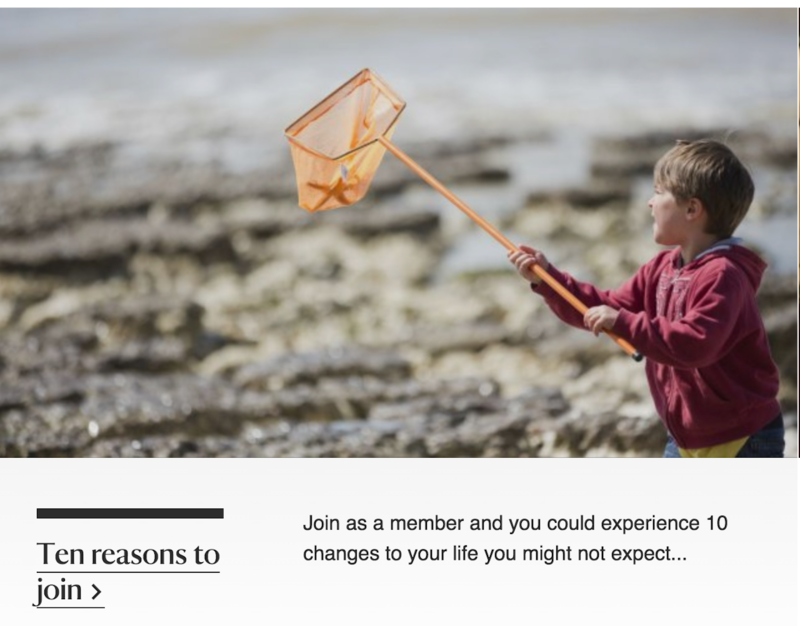 Not only is it visually stunning but it caters for a number of different personas, includes seasonal detail, testimonials, FAQs and editorial (’10 reasons a National Trust membership might change your life’). Who can sell your wedding venues better than the happy bride and groom? This is great marketing, not to mention delicious typography. 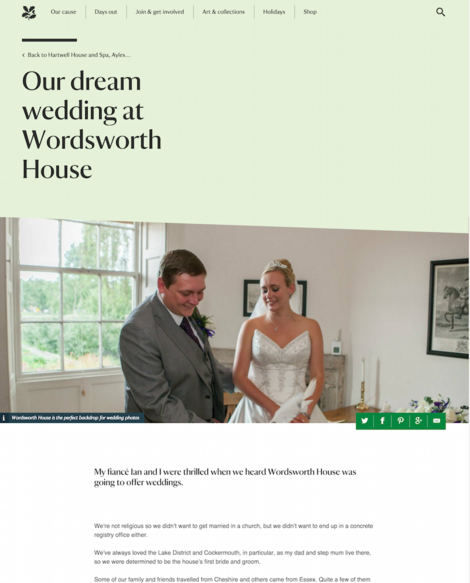 The faceless testimonials shown above on the membership page are nicely presented (where the product is worth around £100), but when the service on offer is a few orders of magnitude more expensive, and part of the ‘best day of your life’, something more persuasive is called for. 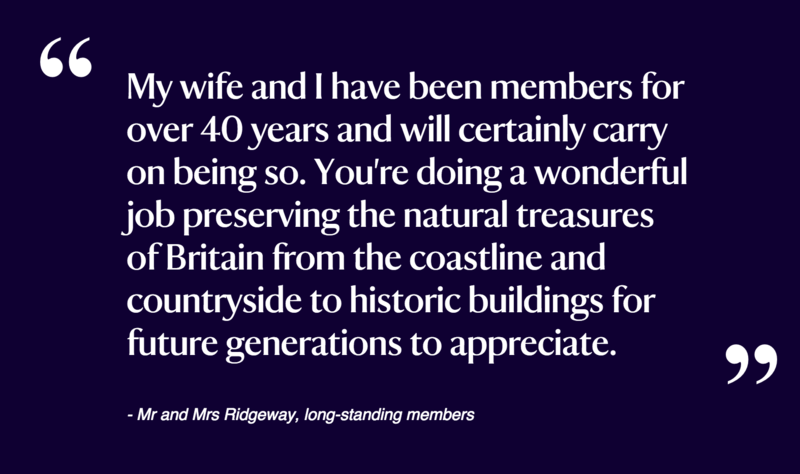 The National Trust relies on donations, volunteers and a massive amount of good will. 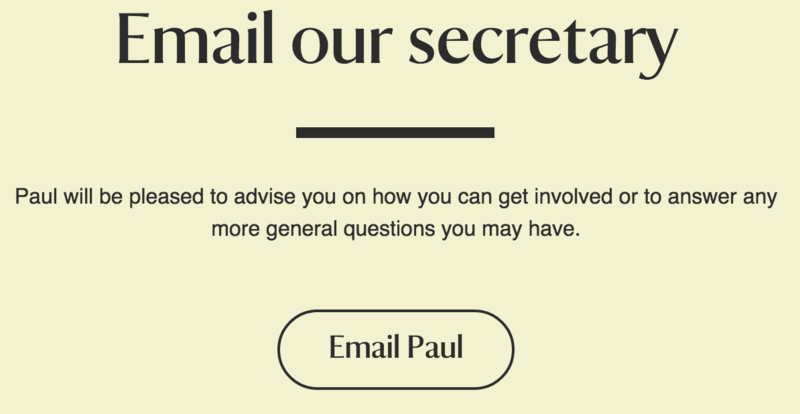 Creating a website that represents the open face of the organisation starts with copywriting. This screenshot uses decetively simply copy, all very much in an active and friendly voice. 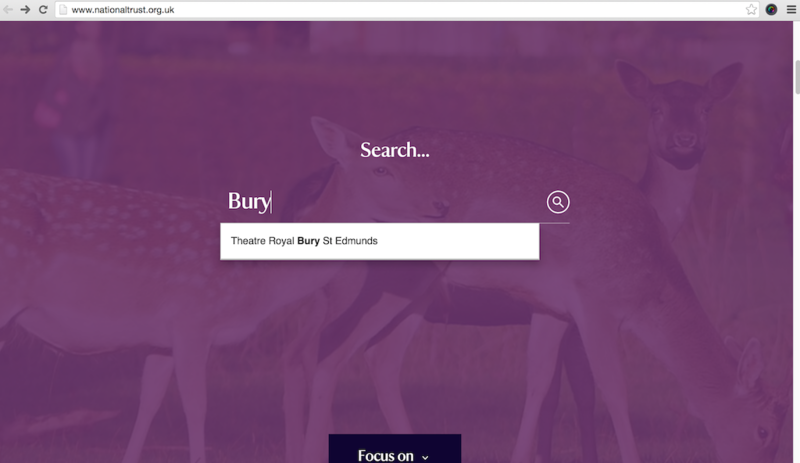 The search facility is really fun to use, thanks to its prominence just below the fold on the homepage, use of a chunky text field, auto-suggest and beautiful results pages. 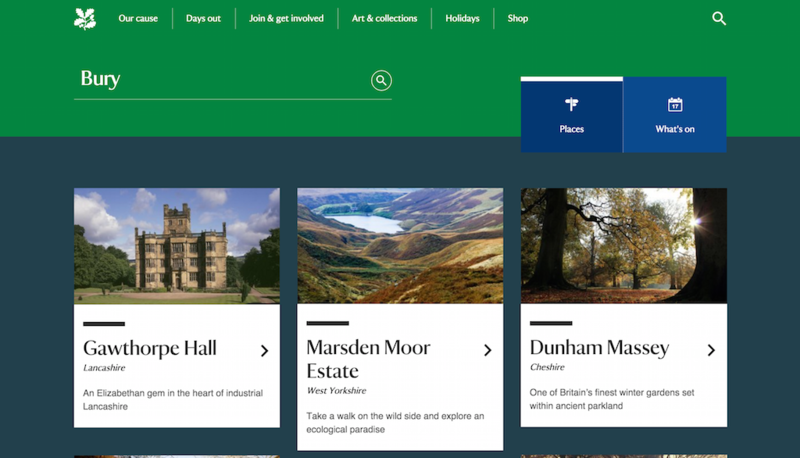 No doubt a more prominent search bar will give the National Trust another source of data to assess regional interest in the organisation. There’s a new jobs website, too, on another domain. It’s just as enjoyable. 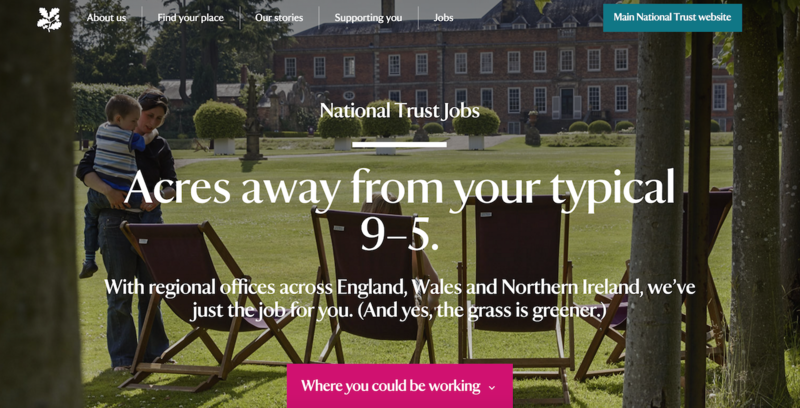 In the new world of talent shortage, changing company culture,transparent organisations and innovation labs, the National Trust jobs website is as good as any I’ve seen at setting the right tone. It’s hard not to compare the hundreds of pages of colour to its contemporary equivalent, the Pantone Color Guide, which wouldn’t be published for the first time until 1963. Its seems like its been a month of new branding projects, it must be time for a spring clean for everybody…..! 3 days of stand build compressed into 5 seconds (enough to make you feel sea sick..!) if only it was that quick and easy. Believe us when we say, Pinterest is addictive! It is one of those websites that you can lose hours of your time just staring and pinning hundreds of images to your boards. By having an online Pinterest presence you add a personality to your business as well as interacting with your customers. Unfortunately even with our box designs looking so good, Roomii Monster didn’t get the backing they were after..! View the pitch (45mins in) on the BBC iPlayer now.